Introducing the Runners of Doom! – "Okay, Crazy Lady…"
Introducing the Runners of Doom! Have you always wanted a cartoon of yourself? Of course you have. Great news for you: Okay Crazy Lady is now available for commissions! Please contact me directly for more information and pricing. 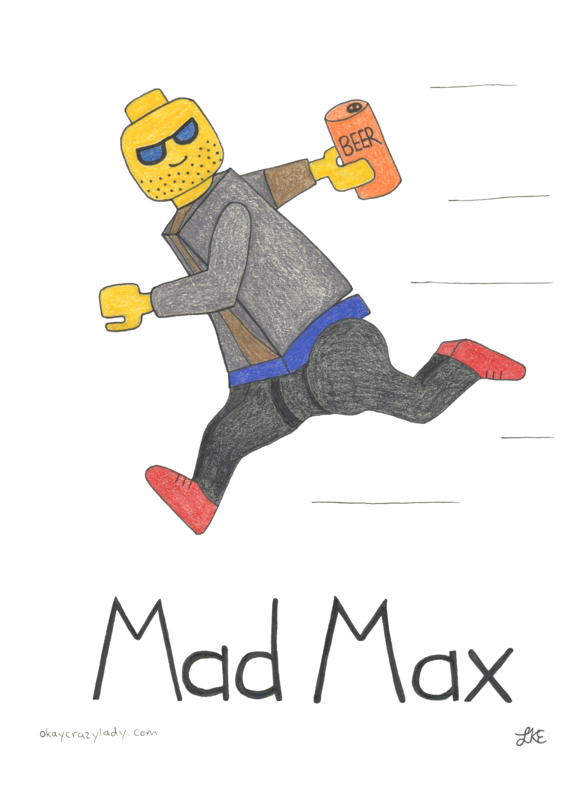 I am proud to introduce my first commissioned series: The Runners of Doom. This is a series of 10 illustrations that I created for my dear friend’s run club. Each runner has features and a nickname based on their passions and personalities. 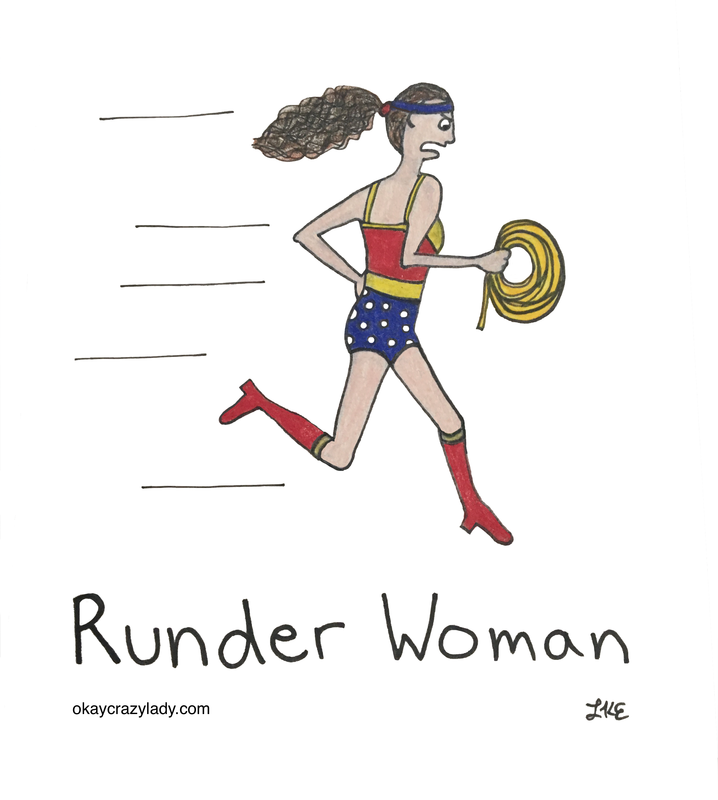 First up: The incredible Runder Woman! < WHAT Did You Just Call Me? This work is licensed under a Creative Commons Attribution-NoDerivs 3.0 Unported License. All drawings and words belong to me, unless otherwise specified. If you'd like to use my work for non-commercial purposes, please ask first. Thank you!